In today’s environment, it is extremely critical to have a balanced nutritional diet. Americans are exposed to many unhealthy toxins in their diet with all the preservatives, high fructose corn syrup, hormones, and GMOs (genetically modified organisms) in the processed foods most people eat every day. Organic fruits and vegetables have important nutrients, vitamins, and cancer fighting properties and are a necessity for any balanced diet. Finding foods high in anti-oxidants and rich in fiber help build the immune system and cleanse the digestive tract. If eating the right foods is hard for you to do, then getting organic whole food supplements from Total Body Chiropractic may be the right answer for you. At Total Body Chiropractic, we provide an extensive one hour long nutritional examination. This nutritional examination includes a complete patient history, systems survey analysis, and a 58-point BioMeridian Test that uses a state of the art FDA registered device for objective testing results. The nutritional exam process will provide analysis and generate a nutritional whole food supplement protocol engineered directly for you. At Total Body Chiropractic, we focus on the root cause of the problem, not just the symptoms. We will provide each patient with an individualized protocol of care, so that the body can once again function at its optimum. 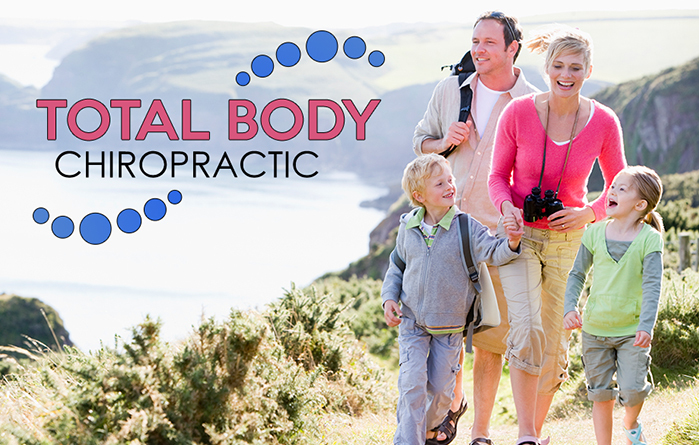 So call Total Body Chiropractic today at (615) 223-1175 and start the process of regaining your overall health, vitality, and proper energy levels.